This film is about a group of five guys who work at a low-end electronics store called Electri-City in a strip mall. These five men are happy and content being losers at an electronics store and they never want to grow up. 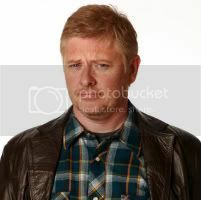 Glenn (Dave Foley) worked his way to manager by the age of 33 and in turn takes his job a little too seriously. Kyle (Rodney Scott) struggles with his father arranging his life, but desperately wants to make him proud. Rick (Cory Christmas) is a former basketball star who temporally works at the store while pursuing an acting career. Avi (Federico Dordei) comes to America to execute his life plan. Finally, Jeff (Billy Aaron Brown) just coasts through life doing as little as possible. The five guys in the trailer do not at all look like they ever came together on screen. It’s almost like a separate performance from each of them as they never meld together. Also, this film’s premise almost reminds me of “The 40 Year Old Virgin” where they all are working at the store and seem to have a lot of fun at work. “The Strip” just misses that and goes off into another realm of boring. Jameel Khan is making his debut as a writer-director with the indie film. He has said that with this film he was looking to capture the spirit and spontaneity of improv in a way that could be scripted and held together in a feature film. I think he accomplished it — just with bad improv. “The Strip” will get a limited release on Dec. 4, 2009. It doesn’t really look that funny.